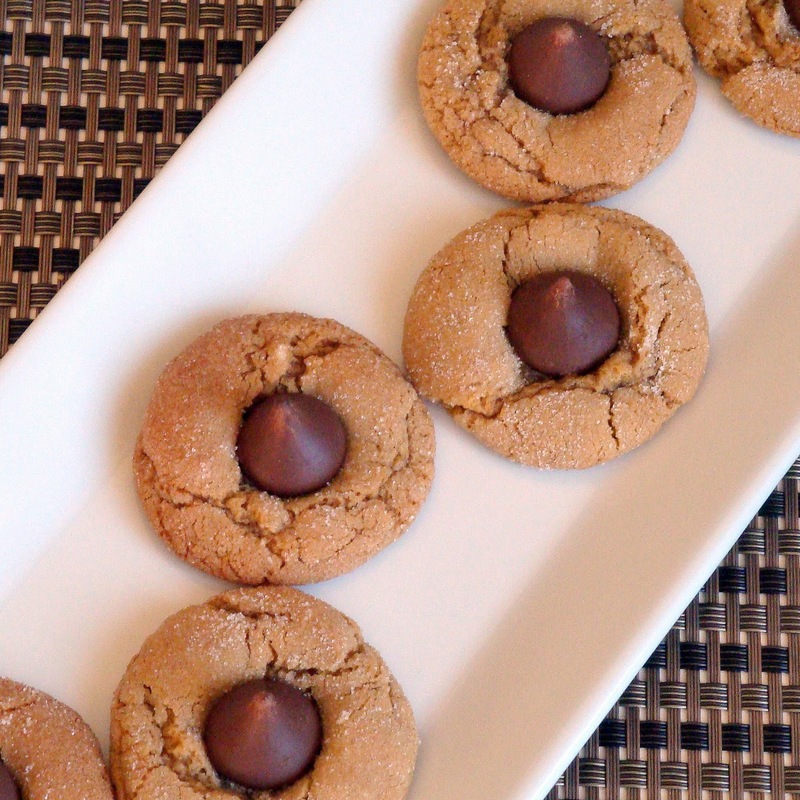 Peanut Blossoms are a holiday cookie staple around our house, as well as many others. 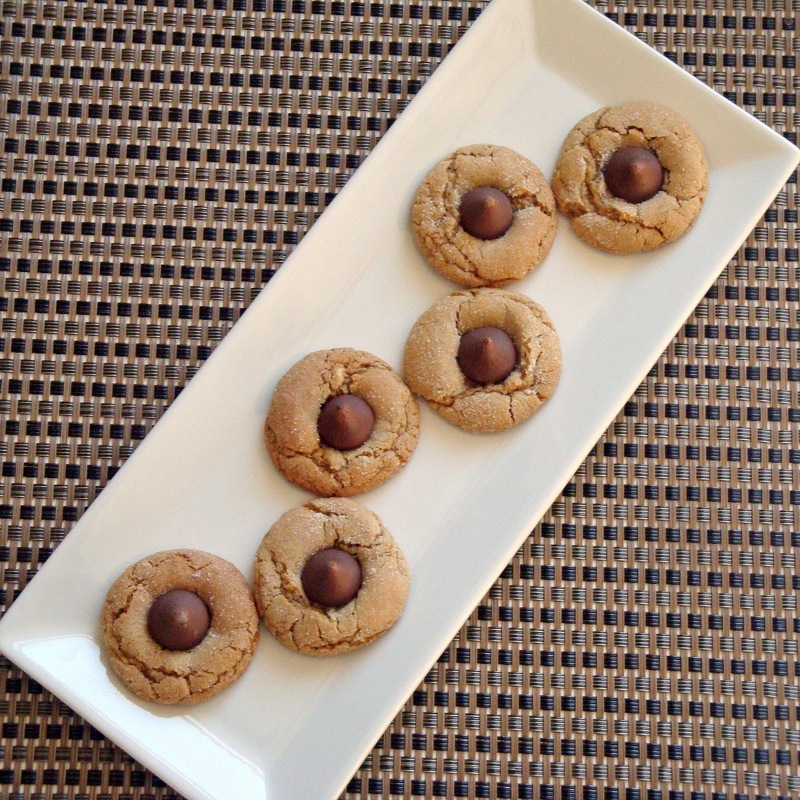 This popular peanut butter cookie topped with a Hershey’s Kiss is not only delicious, but it is such a cute addition to the cookie plate. There are countless versions of this type of cookie, but today I have a special treat for you. Today I am sharing with you this recipe from my grandma! When she was alive, one of her favorite things to do was to make dozens of types of cookies, bars, candies, cakes, etc. for the holidays. She put such care in the execution of each recipe she made. It was impressive, to say the least. She was always so excited and proud to show us the vast array of goodies she made for us each year. So as I sit here right now, sharing one of my favorite Grandma recipes,…I know she would be excited and proud to share it with you as well. In a small bowl, sift flour, baking and salt. Set aside. In a large bowl, using a hand mixer or stand mixer, cream together butter and peanut butter until blended. Gradually add granulated sugar and brown sugar to peanut butter mixture – cream well. Add unbeaten egg and vanilla – beat well. Blend in dry ingredients gradually (Note: I do this step by hand using a wooden spoon) and mix thoroughly. Chill dough in the refrigerator for at least 2 hours (Note: I typically chill overnight). Shape dough into balls using a rounded teaspoonful for each. Roll balls in granulated sugar and place on baking sheet. Bake for 8 minutes. Remove from oven. Top each cookie with a Hershey’s Kiss candy, pressing down firmly so cookie cracks around edge. Return to oven and bake 2 to 5 minutes longer until golden brown. Move cookies to wire rack to cool completely. Peanut blossoms are a staple in our house around the holidays as well! Happy holidays to you! Yum! I looove peanut kisses 🙂 great post! *sigh* what a nice thing to do and how lovely to share the tradition! Not only are they tasty and pretty, but they’re also usually the first cookies to disappear! Merry Christmas! Are these soft cookies or crunchy when cooled? They are more chewy than crunchy, and more firm than soft (if that all makes sense).